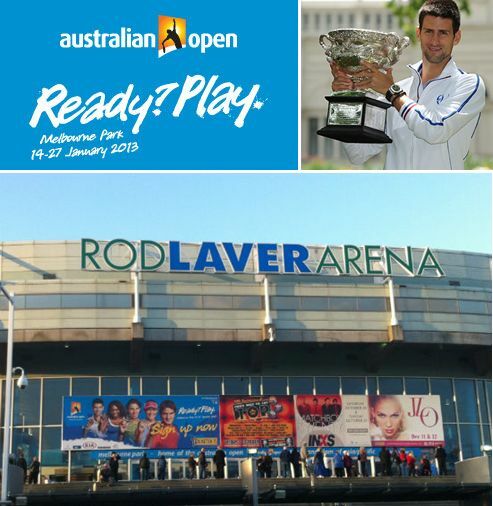 The Australian Open, first Gland Slam of the year 2013, has commenced with effect from from 14th January with the first round of matches. The tournament will culminate with the men's singles final on 27th January. World no.1 Novak Djokovic from Serbia is defending his 2012 title this year. On the first day, some of the top stars that played their matches included world no.1 and the defending champion Novak Djokovic from Serbia, world no. 4 David Ferrer from Spain and world no.8 Janko Tipsarevic from Serbia in the men's singles category. In the ladies' singles category were included world no.2 Maria Sharapova of Russia, world no.6 Na Li of China, world no.9 Samantha Stosur of Australia, world no. 13 Ana Ivanovic of Serbia, world no.25 Venus Williams of USA. All above easily overcame their opponents and have qualified for the second round. The matches marked * can lead to the live free streaming links.